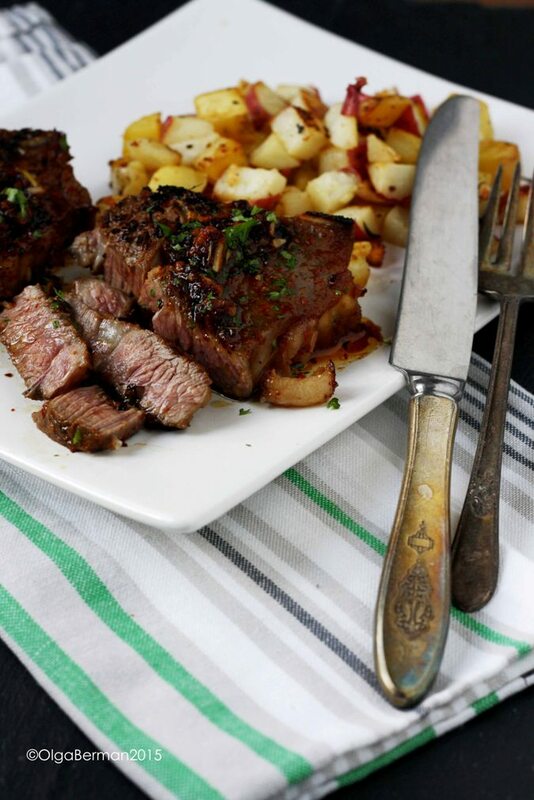 How do you feel about lamb? I happen to like it. A lot. Although I don't tend to cook lamb often at home, I tend to order it when dining out. 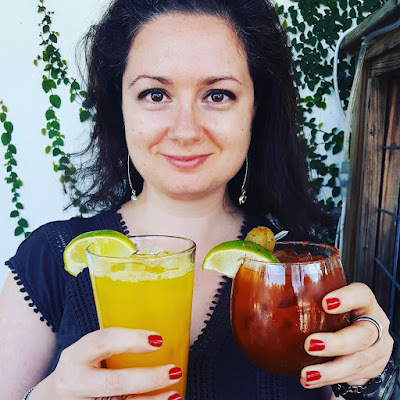 If you happen to be in DC Friday May 15th and/or Sunday May 17th, love lamb, want to try creations by some of the DC chefs and find out who is the LAMB KING (alas it appears there are no women chefs participating), get your tickets now! Experience an intimate night with two previous Lamb Jam Champion Chefs as they lead you through grilling American lamb 101, serve four unique dishes paired with artisan cocktails as well as local beer and wine, and enjoy the wonderful outside patio space at The Occidental Grill & Seafood. DC Central Kitchen is America’s leader in reducing hunger with recycled food, training unemployed adults for culinary careers, serving healthy school meals, and rebuilding urban food systems through social enterprise. 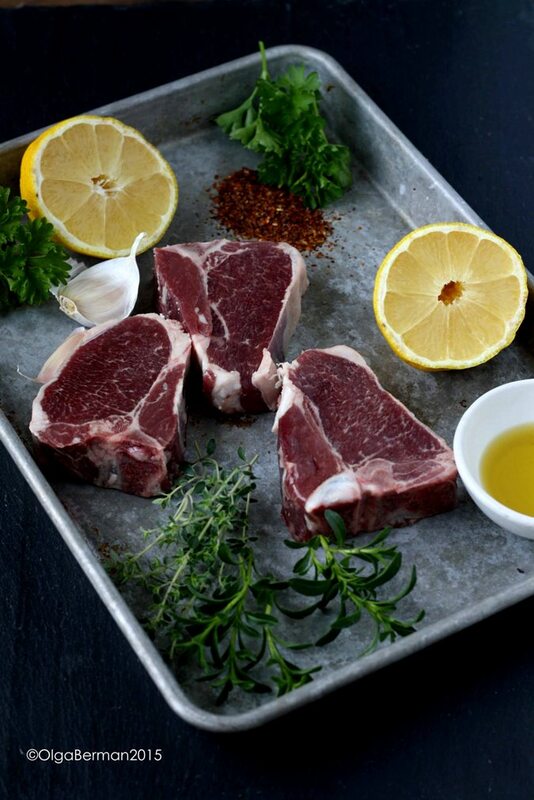 Most of the people think of rosemary, garlic and lemon as the perfect companions for lamb. I agree with this to an extent. You see, I'm not a huge fan of rosemary. I don't like eating something that reminds me of evergreen trees. 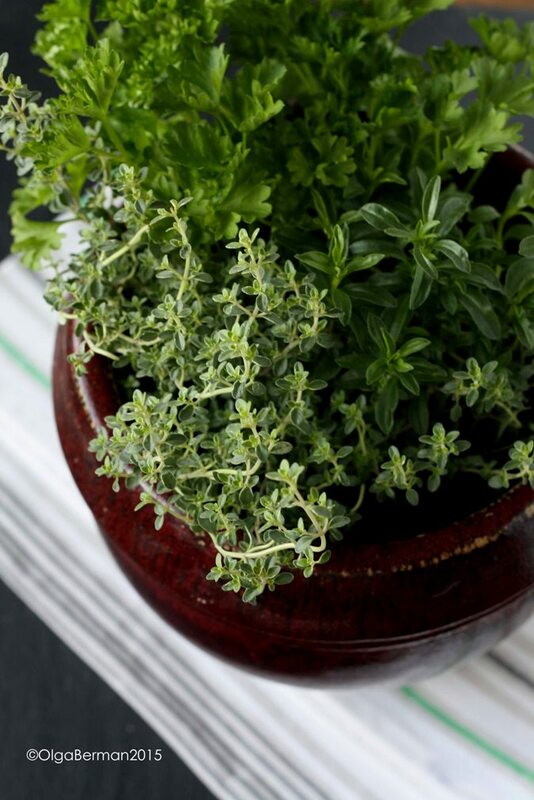 The recipe I created was partially inspired by the herbs I bought earlier in the weekend: thyme, parsley and rosemary. I also decided to make the marinade heavy on the lemon flavor and add a bit of Korean chili flakes for a great level of spiciness. The final product has a lot of strong flavors that all work together beautifully. 1. Combine the first 7 ingredients in a bowl. 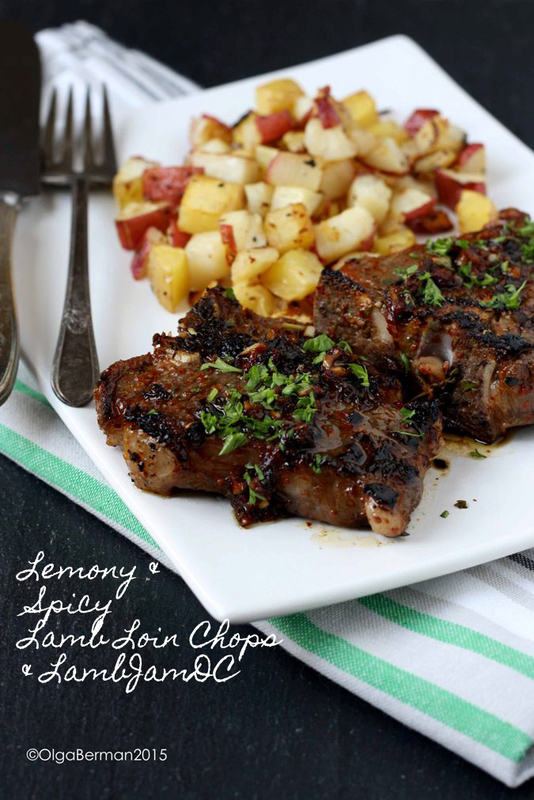 Add lamb loin chops and marinade in the refrigerator for 2-4 hours or overnight. 2. Take the chops out of the refrigerator and allow them to come to room temperature. 3. Heat olive oil in a skillet. 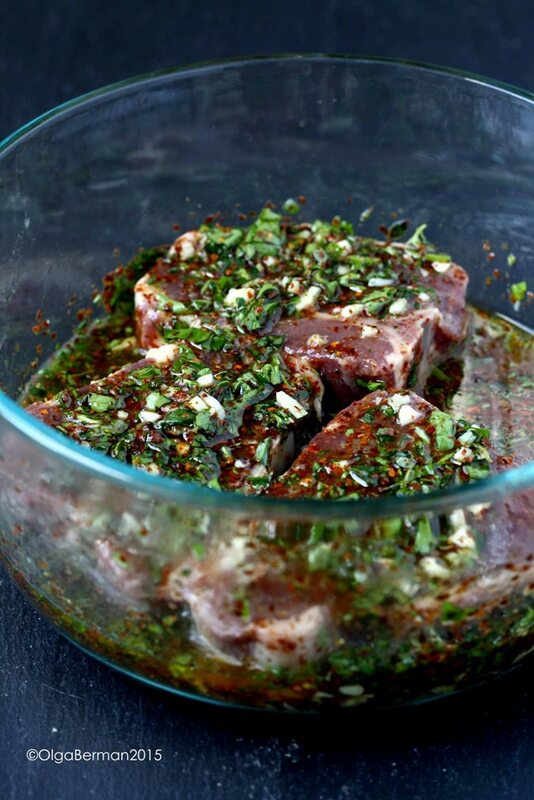 Remove the chops from the marinade and season with salt. Cook the chops for 5-7 minutes on each side, depending on how raw you want them to be inside. 4. Meanwhile, bring the remaining marinade to a boil in a small sauce pan. If you like, add a bit of butter and continue to simmer the marinade until it thickens. 5. 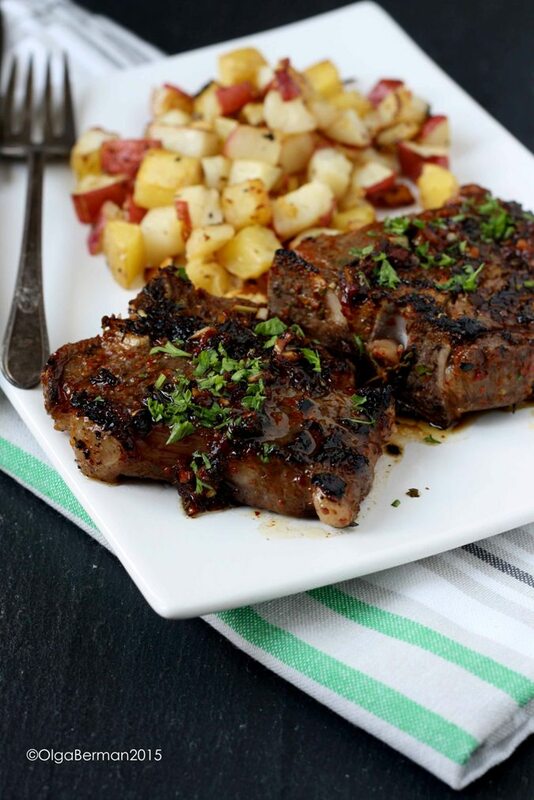 Serve the chops drizzled with the reduced marinade and topped with fresh parsley. Ta da! I had the lamb chops with roasted potatoes. This was quite a messy piece of lamb to eat: I recommend you pretend that you are a cavewoman (or a caveman) and eat it with your hands as opposed to trying to neatly cut the chops with a knife. I even liked the lamb cold the next day straight out of the refrigerator! 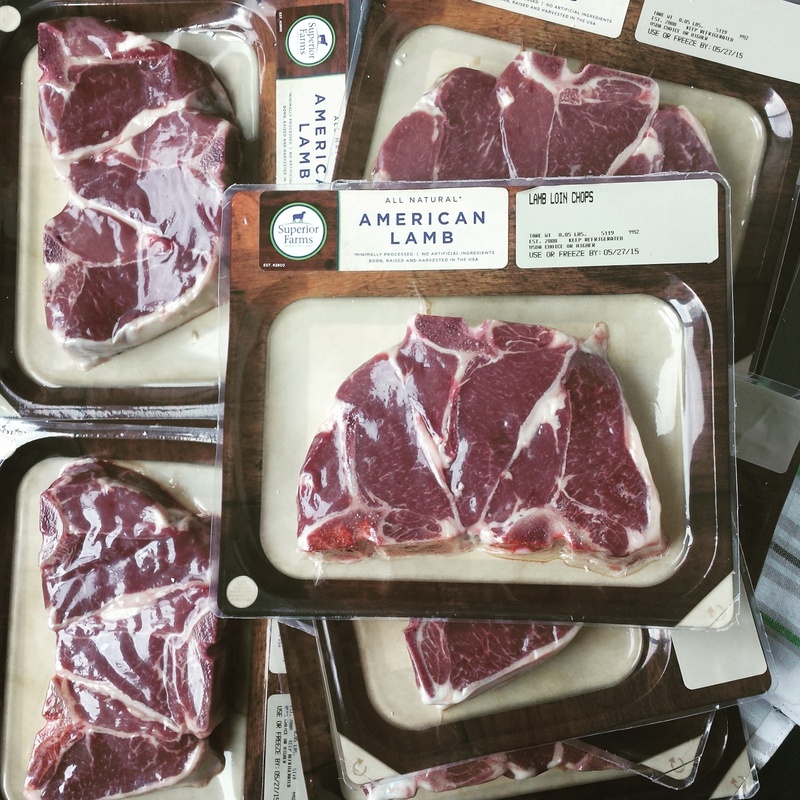 Thank you American Lamb for the lamb loin chops and the invitation to participate in the fun DC events! Disclosure: I was invited to participate in the VIP lamb event and be a judge at the DC Lamb Jam. I'm also bringing two of my friends to the events. I was not compensated for this post. All opinions are my own.